Half a century into the digital era, the profound impact of information technology on intellectual and cultural life is universally acknowledged but still poorly understood. The sheer complexity of the technology coupled with the rapid pace of change makes it increasingly difficult to establish common ground and to promote thoughtful discussion. Responding to this challenge, Switching Codes brings together leading American and European scholars, scientists, and artists - including Charles Bernstein, Ian Foster, Bruno Latour, Alan Liu, and Richard Powers - to consider how the precipitous growth of digital information and its associated technologies are transforming the ways we think and act. Employing a wide range of forms, including essay, dialogue, short fiction, and game design, this book aims to model and foster discussion between IT specialists, who typically have scant training in the humanities or traditional arts, and scholars and artists, who often understand little about the technologies that are so radically transforming their fields. 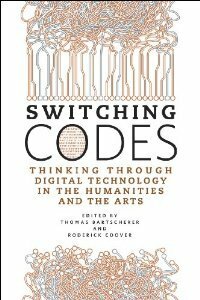 Switching Codes will be an indispensible volume for anyone seeking to understand the impact of digital technology on contemporary culture, including scientists, educators, policymakers, and artists, alike. Simulation ist neben Theorie und Experiment das dritte Standbein moderner Wissenschaft.